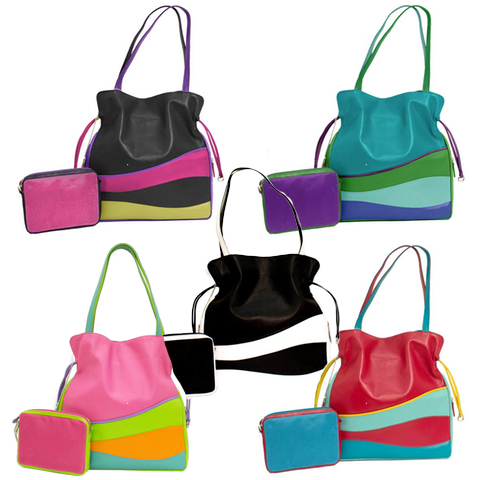 This bag features wave detail with two vertical zippered compartments, one on each side, great for cell phones and wallets. Top closes with a hidden magnetic closure and can be closed with the draw strings too. Inside you'll find two open pockets on the front wall, a center deviding zippered compartment, a zippered compartment on the back wall and a detachable pouch. Click here to check out ILI's entire collection. If you find something you like, send an email to us and we'll get a price quote for you.